SWAMI VIVEKANANDA'S accomplishments as a man of literature have been widely acknowledged by eminent literary critics and writers. Way back in September 1896, Leo Tolstoy wrote in his diary that he had read "a charming book on Indian wisdom" which had been sent to him. The book contained a series of lectures on ancient Indian Philosophy delivered by Vivekananda in New York in the winter of 1895-1896. 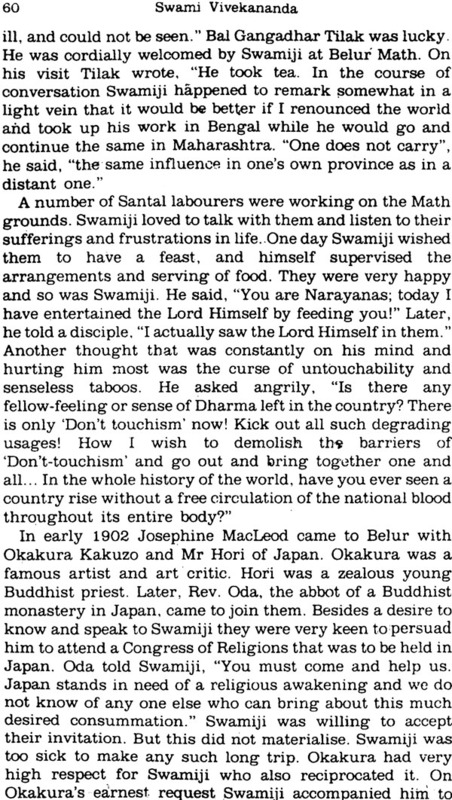 In 193 I Roman Rolland, deeply moved by the writings, letters and speeches of Swamiji, wrote, "His words are great music, phrases in the style of Beethoven, stirring rhythms like the march of Handel choruses." As a writer both in English and Bengali Vivekananda achieved great success. His books, speeches, talks and letters which constitute the bulk of his collected works impress the readers and critic for a number of reasons. As a thinker and writer he represented a fine blending of tradition and modernity. He sought to infuse few trends in his own creative writings, both in contents as well as in forms. Professor Nemai Sadhan Basu is a distinguished historian and educationist. Educated in India and abroad, he was formerly Vice-Chancellor of Visva-Bharati, Santiniketan. His books in English include The Indian National Movement: An Outline, The Indian Awakening and Bengali, etc. It is a challenging task to cover the life and multidimensional achievements of Swami Vivekananda within a limited compass. Extensive and intensive researches on his life and times, evaluating Swamiji's unique contributions to the making of modern India and Indian literature, have been made for the last hundred years. New questions are being asked and new facts are being discovered related to his life and activities in India and abroad. I have endeavoured to incorporate the findings of major standard biographies and research works in this monograph. 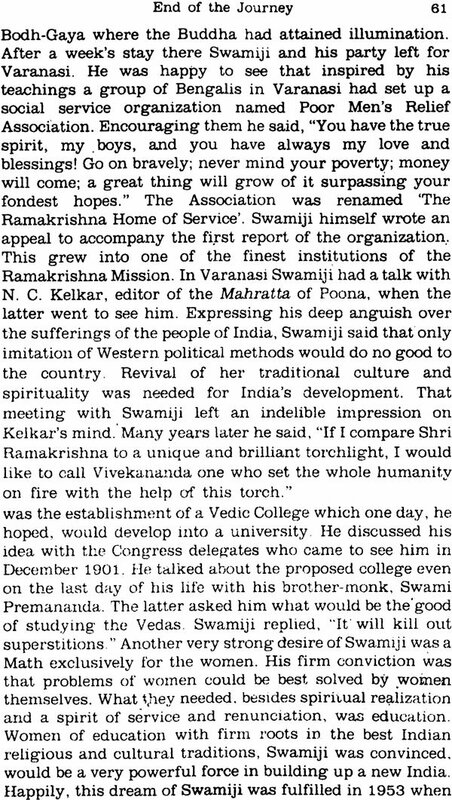 It is hoped that the general readers will get a comprehensive picture of Vivekananda's colourful life and his role as a nation builder. The more knowledgeable ones also may find it useful. Among others, I am deeply indebted to my teacher Krishnapada Banerjee who had read the manuscript with meticulous care and made invaluable suggestions for its improvement. Sadly, he passed away when the book was in the press. He edited my first ever writing on Swami Vivekananda when I was a school boy. The present book is the last one that he edited with his affectionate care and thoroughness shortly before he died.